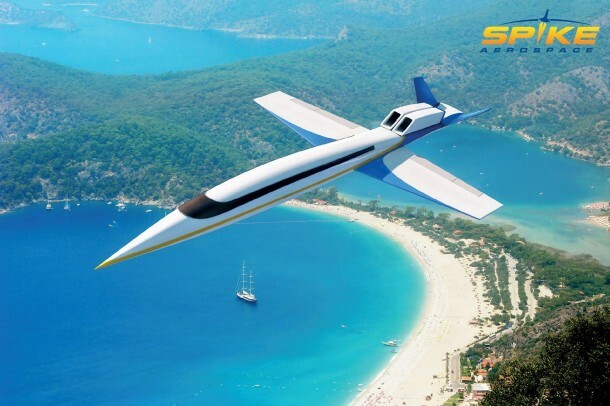 We already talked about the new private jet that will be going supersonic; S-512. However, there is more news pertaining to the supersonic jet than we had anticipated. Spike Aerospace is hopeful that the $80 million jet will take off in December 2018. 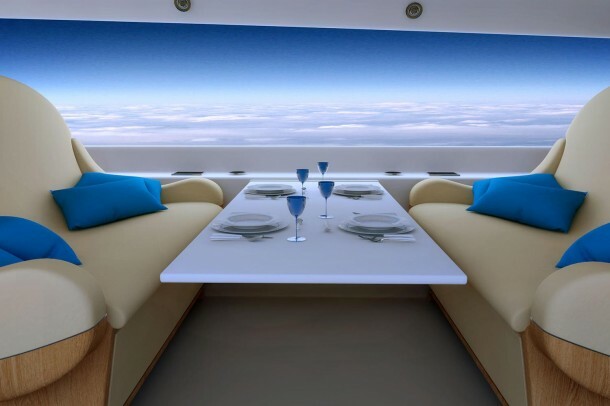 However, this will not be like your ordinary jet as S-512 won’t have any windows. Seems strange doesn’t it? However, there is a perfectly justified reason or should we say reasons behind this decision. First off, do you know what this Boston based aerospace firm will be using in place of windows? 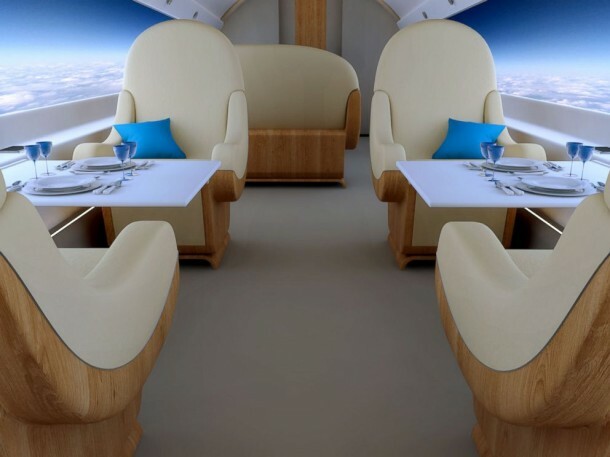 The company has decided to employ the latest advancement in science and technology and has plans of incorporating live streaming, video recording and display technology in the interior of their S-512 where the company will provide the passengers with high definition screens which are supposedly going to be huge. 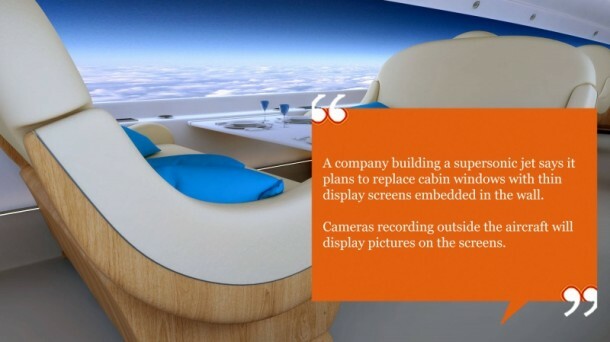 The idea is to employ small cameras which will relay footage from the exterior to the interior and the displays shall render the video, allowing the passengers to get a panoramic view of outside. For those passengers who want to rest; they can simply reduce brightness of the screen or switch to other soothing and relaxing images which shall be then displayed on screens. However, don’t think that windows have been dropped just for the sake of incorporating some fancy screens. So, if any of you has ever designed a plane, they are well aware of the fact that having windows in the fuselage means a great deal of work is needed to strengthen the airframe. A plane without windows is stronger and that is exactly why Supersonic military planes don’t have them. So it is more practical to opt for a fuselage that comes without windows. However, the passengers are accustomed to look out of window and enjoy the scenic beauty. Hence, the idea of high definition screens has been brought into play. Not having any windows also helps in reducing the drag and allows the S-512 to reach Mach 1.88 speed while carrying 18 passengers. Check out this video on the Spike S-512. Isn’t it that’s sometimes ago that nasa was exploring the use of plasma for a windows. That ultimately will be use in space.